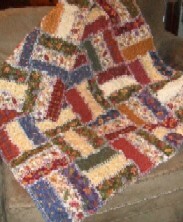 Quilters often generously share their art by making and donating awareness quilts. 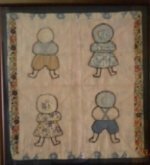 In addition to building awareness and/or raising funds for research for cures, many of the quilts are donated to people afflicted with the diseases. In addition to making people aware of the impact of the diseases and encouraging work toward cures, awareness quilts raise hopes and warm the hearts of the recipients. The AIDS Memorial Quilt began in 1987 as a memorial for those who had died of AIDS, and to help people understand the devastating impact of the disease. Made up of more than 48,000 individual 3-by-6-foot memorial panels made by family members and friends in memory of a loved one who has died of AIDS, the Quilt is a powerful visual reminder of the AIDS pandemic. 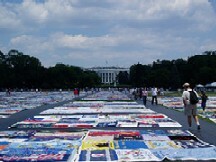 Nominated for a Nobel Peace Prize in 1989, AIDS Memorial Quilt is the largest community art project in the world. ALS, also known as Lou Gehrig's disease, is a neurodegenerative disease that hinders and then eventually destroys the communication between nerves and voluntary muscles in the limbs, torso, and face, rendering them useless. It does not affect the involuntary muscles such as the heart, lungs and those in the digestive system. People suffering from ALS experience progressive paralysis throughout the body, with more than half of those afflicted dying within 3 years of diagnosis. To increase awareness about ALS, raise funds for The ALS Association’s global research program through an online raffle and auction of the quilts, and “warm the hearts and laps of ALS patients," Kathy Thompson, the owner of Quilters Dream Batting, launched the “Hopes and Dreams Quilt Challenge for ALS." Individual quilters as well as groups of quilters had until July 30, 2010 to submit their quilts. To reassure people with ALS that they are not forgotten, and that there are people out there thinking of them, quilters were also encouraged to attach a note of introduction and well wishes with the quilt. 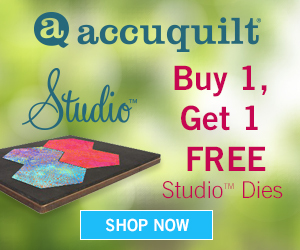 Some of the quilts will be sold in an online raffle and auction; some quilts that are not offered online will be distributed by The ALS Association to people with ALS and their families; and others will be featured in a traveling tour. In December, 2009, the Parkinson's Disease Foundation (PDF) announced the launch of the Parkinsons Disease Foundation Quilt Project - the first global quilt project to raise awareness of the impact that the disease has on the millions of people worldwide living with Parkinson's - along with their families, caregivers and friends - and the continued urgency to find a cure. 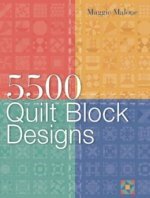 Have an Awareness Quilt Story to Share? Do you have a great story about this? Share it! Awareness quilts do more than build awareness or raise money for a good cause; they bring people together to solve a problem or share heartbreak or give thanks.